Council Member Martha Castex-Tatum won a special election on May 5, 2018 and was sworn in as the Houston City Council Member for District K on May 16, 2018. She currently serves on the Budget and Fiscal Affairs Committee, the Economic Development Committee, the Housing and Community Affairs Committee, and the Transportation, Technology, and Infrastructure Committee. As a longtime and active resident of District K, Martha is committed to serving constituents through her passion for the community and her diligence as a public servant. She is an advocate for senior citizens and small business owners. She is also dedicated to increasing beautification projects and economic development throughout the district, among other projects and initiatives. Martha, a native Houstonian, graduated from Lamar High School in Houston ISD. She is also a graduate of Southwest Texas State University, now Texas State University, in San Marcos, TX., where she earned both her Bachelor of Business Administration and Master of Public Administration degrees. After graduating she served as an adjunct professor at the University while beginning to voice her passion for her community through political service. The City Council is the City's legislative body, with the power to enact and enforce all ordinances and resolutions. Houston City Council meets every Tuesday at 1:30 p.m. and Wednesday at 9 a.m. in the Council Chamber on the second floor of City Hall. The Tuesday sessions are devoted to public comments and concerns, while the Wednesday sessions are for matters that require council action. All meetings are open to the public. The City of Houston City Council agenda is published on Friday afternoons and details the actions that Council will consider the following week. You can also watch meetings live online. 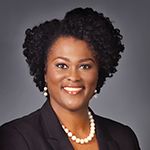 Council Member Castex-Tatum currently serves on the Budget and Fiscal Affairs Committee, the Economic Development Committee, the Housing and Community Affairs Committee, and the Transportation, Technology, and Infrastructure Committee.